This presentation will explore legal requirements surrounding workplace investigations and traps for the unwary HR investigator from receipt of the complaint through the closure of the investigation. The presentation also provides best practices to avoid making mistakes during investigations that can lead to liability. 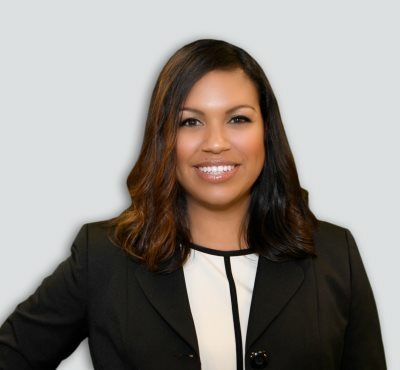 Courtney Barksdale Perez is a partner at Carter Scholer Arnett Hamada & Mockler. Courtney has a vast array of civil litigation experience having tried cases to jury in state and federal court. She has represented plaintiffs and defendants in employment-related claims, civil disputes involving allegations of fraud, negligence, breach of contract, breach of fiduciary duty, breach of covenants not to compete, tortious interference with contracts, civil conspiracy, antitrust and in intellectual property disputes alleging misappropriation of trade secrets, trademark infringement, and patent infringement. Board Certified in Labor & Employment Law, Courtney has specialized knowledge representing individuals, corporations, and government entities in all phases of commercial and employmentrelated litigation from the risk-management phase through trial and on appeal. Courtney regularly advises clients concerning compliance with employment-related statutes and has served as lead counsel in cases involving claims asserted under Title VII, the Americans with Disabilities Act, Age Discrimination in Employment Act, Family Medical Leave Act, Federal Labor Standards Act, the Pregnancy Discrimination Act, 42 U.S.C. § 1983, the Texas Whistleblower Act, the Texas Payday Act, the Texas Labor Code and employment agreements. She also conducts internal investigations, reviews and prepares policies and procedures, and provides training for employers. Courtney also has experience advising government contractors concerning their obligations under federal contract compliance laws, developing compliance programs, drafting Affirmative Action plans and representing government contractors in administrative proceedings. In addition, Courtney is a trained mediator and uses her dispute resolution training and experience to assist litigants in resolving employment, business, commercial, consumer, personal injury and civil rights disputes. Prior to joining Carter Scholer, Courtney was an associate at an international law firm and served as Law Clerk to the Honorable James A. Beaty, Jr., U.S. District Court for the Middle District of North Carolina. This program is preapproved for 1.00 Professional Development Credit towards SHRM-CP and SHRM-SCP through SHRM and 1.00 recertification credit towards PHR, SPHR, and GPHR recertification through HRCI.